We are pleased to announce that the new album of Thokkian Vortex, Thy Throne is Mine, will be released in 2019. The album teaser for the song “The Wreathing Serpent” can be viewed below. 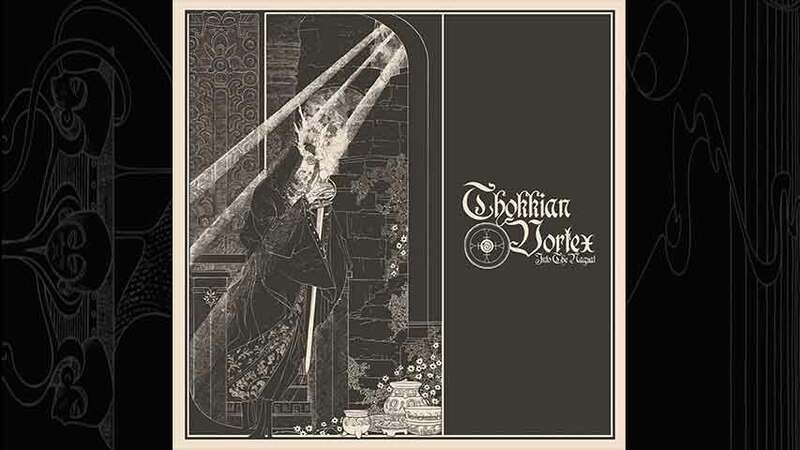 Thy Throne is Mine, the second full-length album by Thokkian Vortex, features a new line-up including Lord Sabnock (Major Arcana) on guitars, Sil on bass, and Asmodevs Draco Dvx (Azrath-11, Naer Mataron, Kurgaall, Ancient, Melechesh, etc.) on drums. The album also features shredding guitar solos by Marcelo “Mantus” Vasco (Patria, Mysteriis) who is also the artist behind many cover artworks of famous bands like Slayer, Kreator, Dimmu Borgir, 1349, Borknagar, and many more. Thy Throne is Mine has less symphonic elements than the previous album, Into the Nagual, but it is a more cohesive work with a healthy dose of Black ‘n’ Roll. With the signature storytelling of Lord Kaiaphas, the album explores themes such as Sumerian/Accadian mythology, apocalyptic Satanism, and Mesoamerican sorcery inspired by occult literary works and grimoires. Following Thokkian tradition, Thy Throne is Mine will also include a cover of the 70s occult rock band, Black Widow – Come to the Sabbat, with a participation by Prog Metal flautist, Danielle Sassi (Storchi). This is an album for those looking for Black Metal that rocks. We are proud to present the new lyric video for the song Samtsheh Mitshebat from the album Into the Nagual. This atmospheric video was made by Victoria Costa and inspired by Red Cap sect. 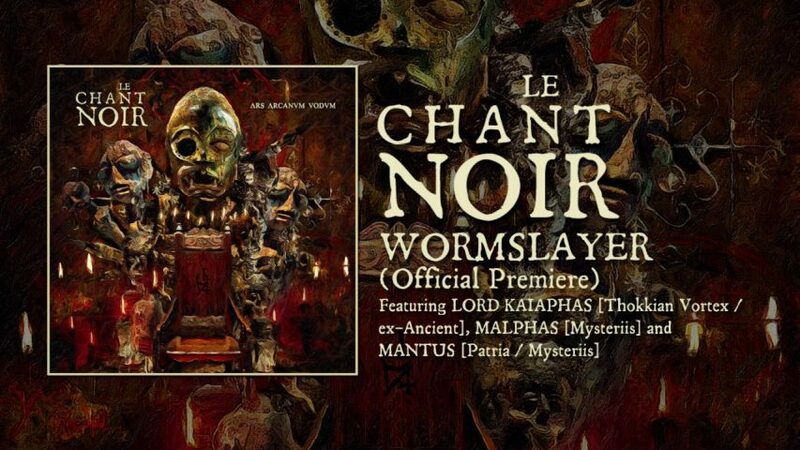 Le Chant Noir is the Avant Garde Black Metal side project from Lord Kaiaphas. The long awaited debut album from Thokkian Vortex has been released by Unexploded records(Sweden). The album features guest guitarists Lord Ahriman(Dark Funeral), Scorpios(Crimson Moon), Vargblod(Draugul), Mantus(Patria), and Dmitri Alperovich(Seventh Station) and artwork by Stag & Serpent. 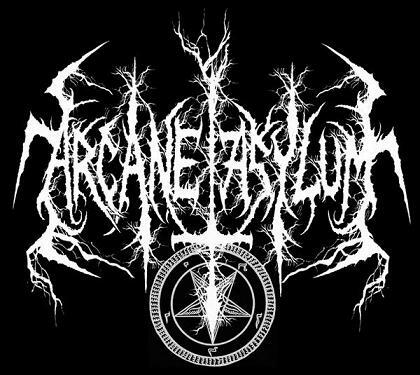 Recently, Lord Kaiaphas recorded his vocals on a song called ” Atrocity is Silent ” for the American black metal band, Arcane Asylum. 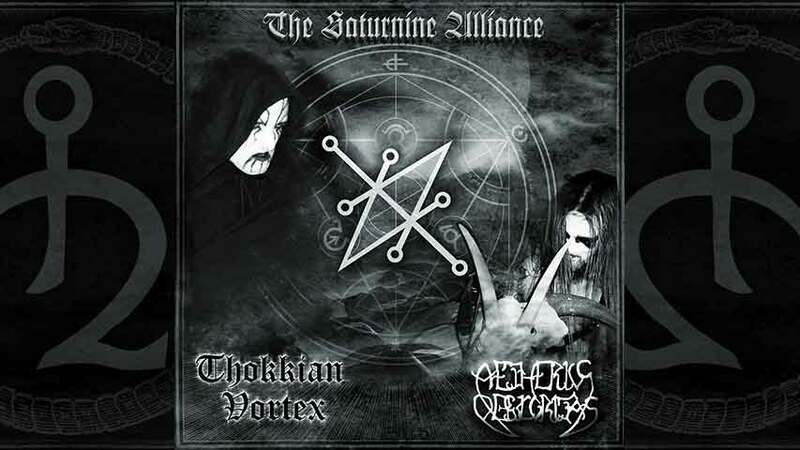 Sleaszy Rider records (Greece) has released a Thokkian Vortex/Aetherius Obscuritas (Hungary) split cd “The Saturnine Alliance”.